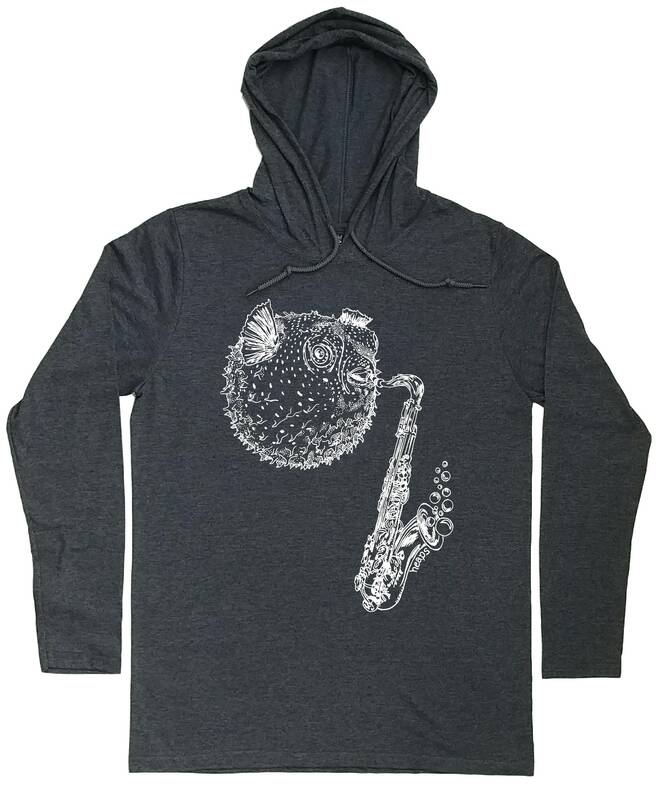 This men's lightweight hooded longsleeved t-shirt features an image of a blowfish playing the saxophone that's screen printed by hand in eco-friendly white ink. 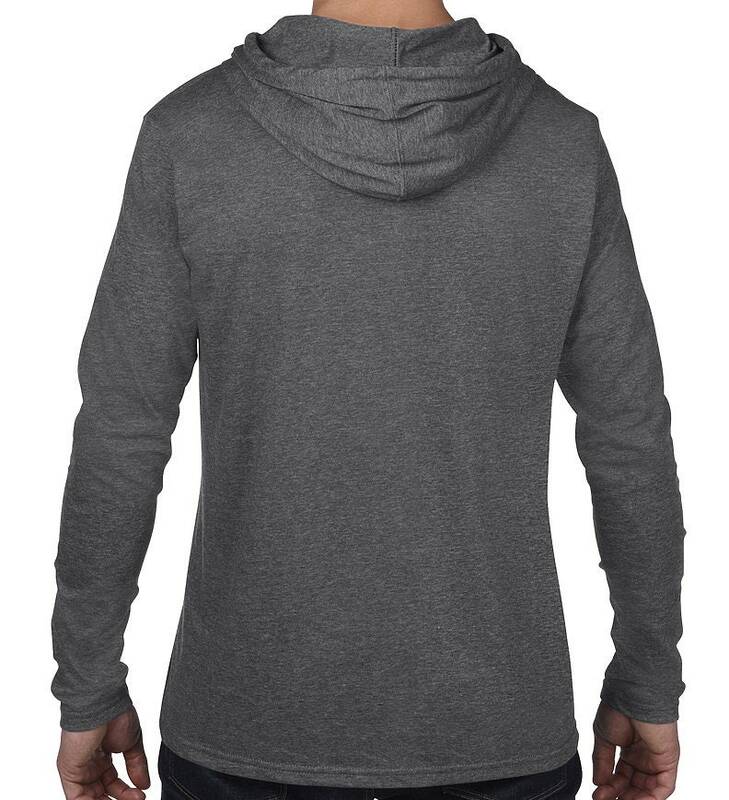 The image is our own hand-drawn artwork and we pull each print manually in our studio. 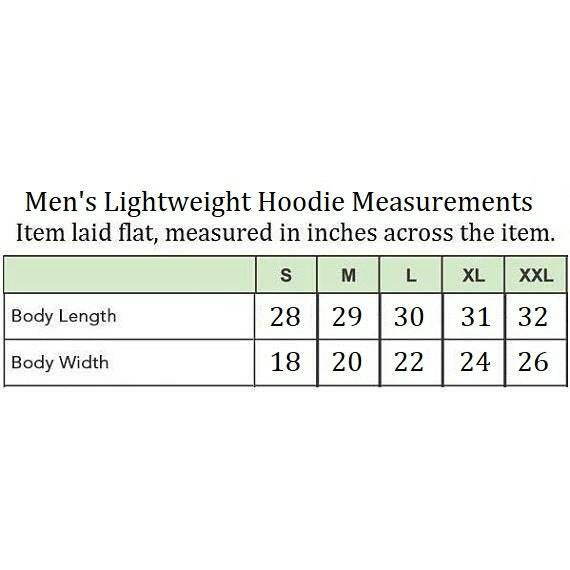 The men's lightweight hoodie is made from soft, lightweight 7.6oz. 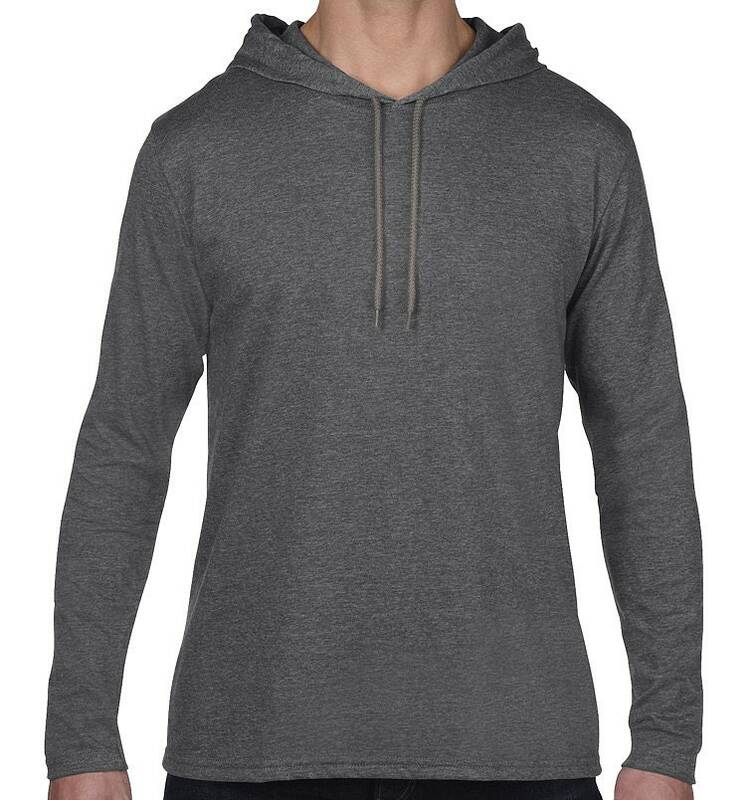 poly/cotton ringspun blend (65%/35%) that is pre-shrunk for a lasting fit. It is a comfortable, modern roomy style.